Home Profiles Sidra Zaheer, LL.M. Sidra Zaheer is Supervising Counsel for eDiscovery in the San Diego office of Klinedinst PC. 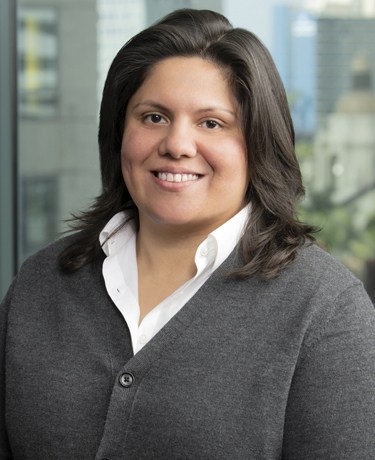 Ms. Zaheer’s practice focuses on complex electronic discovery issues including, consulting on ESI protocols, drafting Rule 26(f) discovery plans, negotiating search terms and the use and parameters for predictive coding. Prior to joining Klinedinst PC, Ms. Zaheer worked with multiple AmLaw 100 firms to resolve discovery disputes arising in large class-action suits and several DOJ, SEC, FTC, FDA and EPA investigations. She also has extensive experience implementing plans to optimize discovery workflows, developing quality control protocols and managing teams of up to 100 contracts attorneys in the U.S., India and the Philippines. Ms. Zaheer believes strongly in leveraging legal technology to best serve clients. Before beginning her practice of law Ms. Zaheer worked as a legal analyst with Bloomberg Law where she helped develop legal research, legal analytics and transactional tools that are now widely used. Ms. Zaheer is admitted to practice in California and New York. She is an active and involved member of Women in eDiscovery (WIE), the International Legal Technology Association (ILTA) and the San Diego County Bar Association (SDCBA).